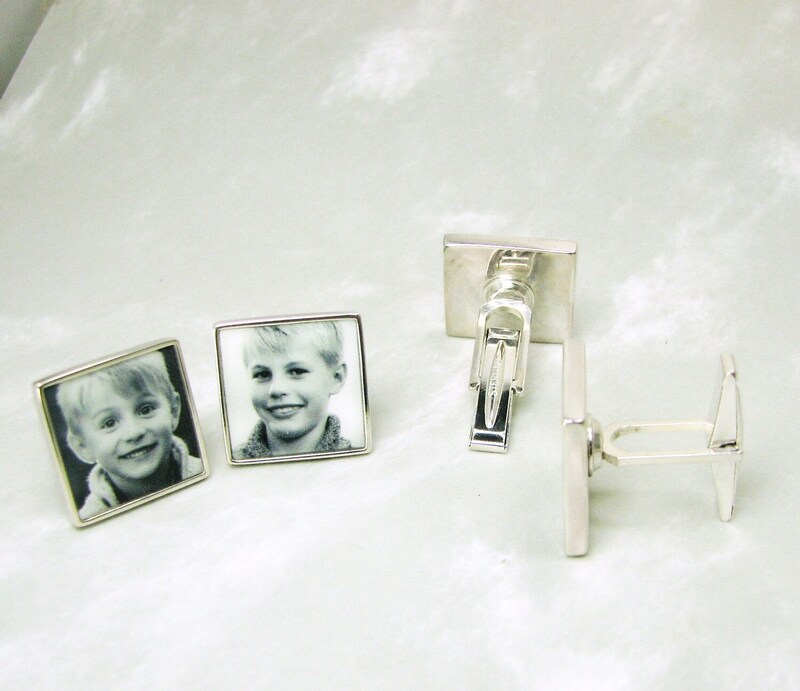 Two sets of sterling silver photo cuff links (4 links total). You can mix and match them to wear a different set each day of the week. 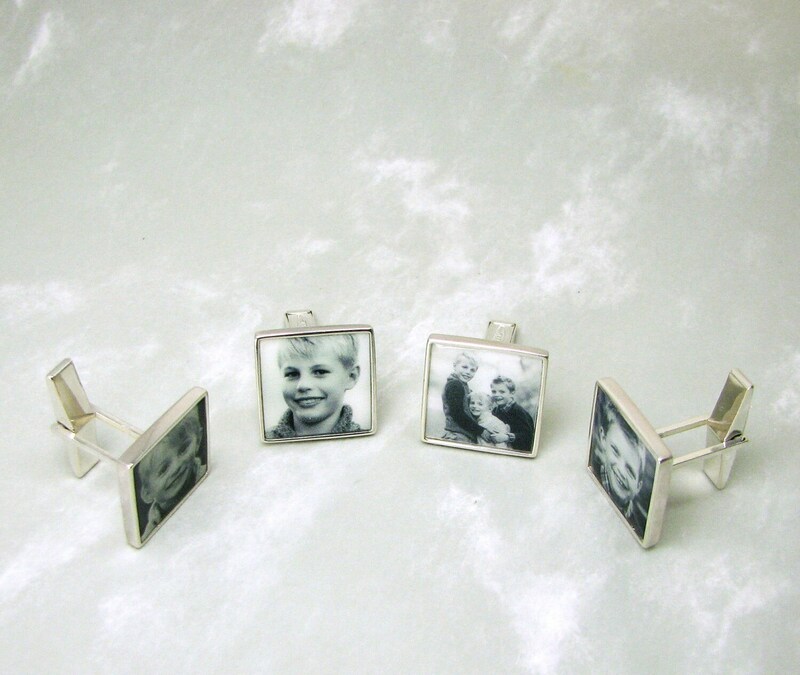 These are 16 mm square, sterling silver, heirloom quality photo cuff links. 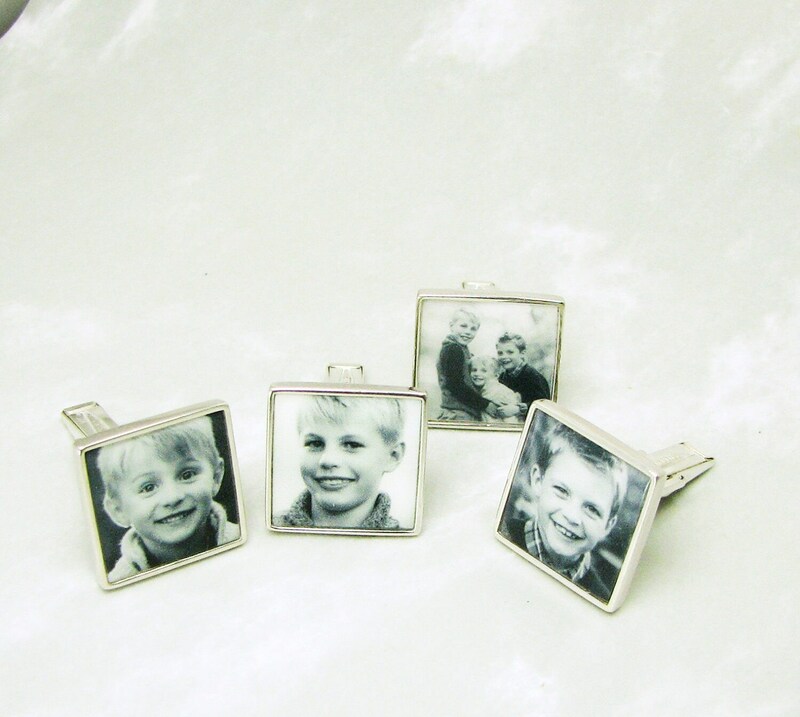 They hold your precious images baked in clay tiles and sealed to a glossy, waterproof finish. 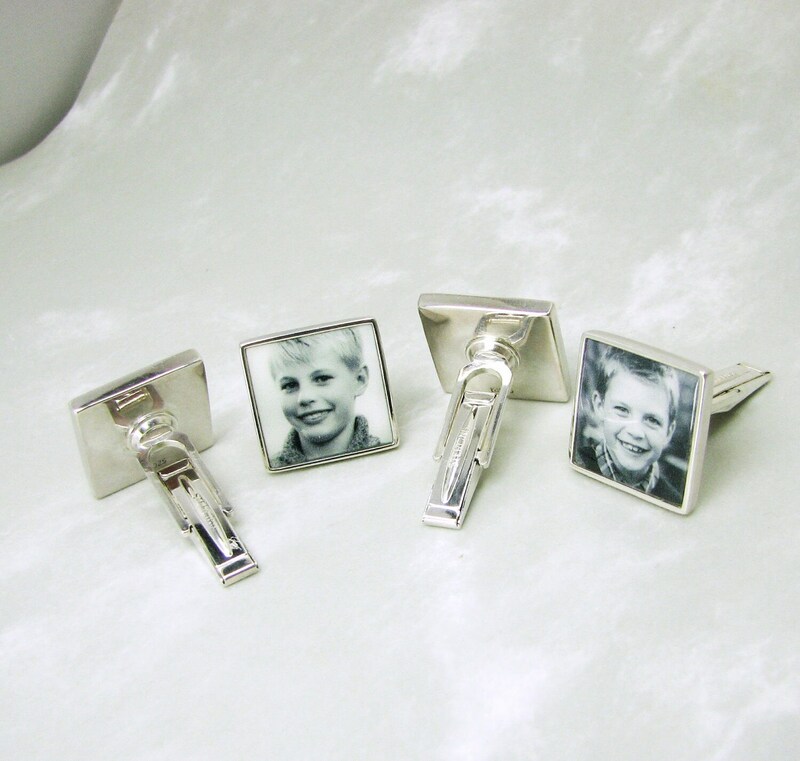 The end result is a classy gift for Dad, or grandpa. 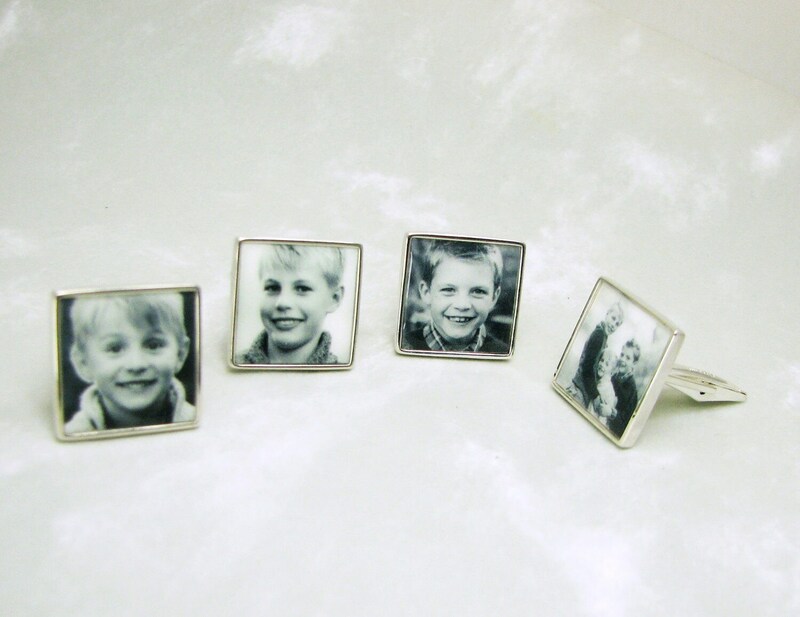 *This listing is for two sets of cuff links; 4 cuff links each with a photo tile.